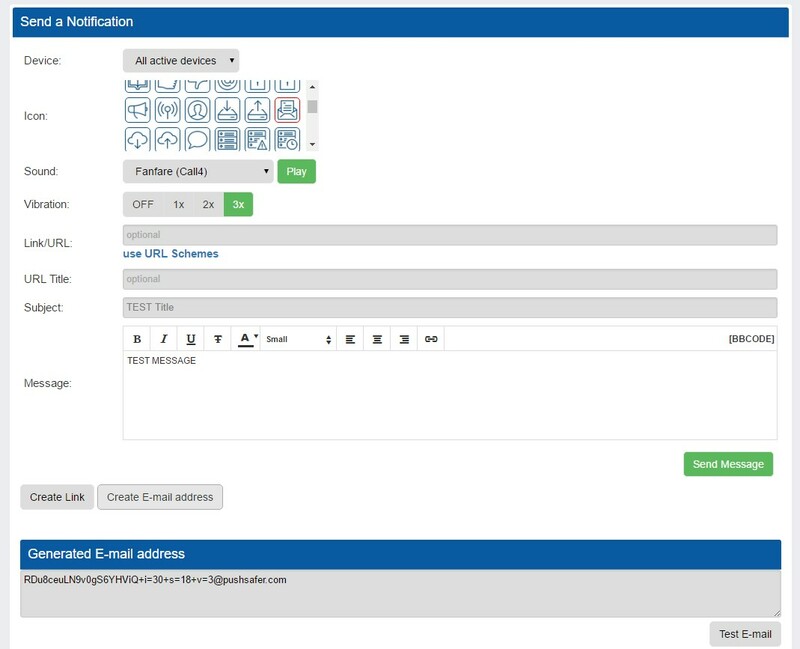 The Pushsafer E-Mail Gateway allows you to receive a push notification via a simple e-mail. The e-mail address to which you must send the message can be found in your Pushsafer dashboard. You can also modify these notifications by simply using the Email Address Generator. In addition, up to 3 pictures can be transmitted with each e-mail. These images are displayed directly in the ClientApps, and (the first) also in the push notification. If your hardware or software does not support this email address setup, you can also create an email alias with predefined variables.